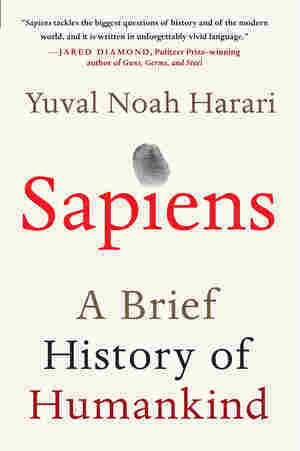 Sapiens NPR coverage of Sapiens: A Brief History of Humankind by Yuval Noah Harari. News, author interviews, critics' picks and more. This narrative history of humanity's creation and evolution explores how biology and history have defined understandings of what it means to be human, detailing the role of modern cognition in shaping the ecosystem, civilizations and more. About 13.5 billion years ago, matter, energy, time and space came into being in what is known as the Big Bang. The story of these fundamental features of our universe is called physics. About 3.8 billion years ago, on a planet called Earth, certain molecules combined to form particularly large and intricate structures called organisms. The story of organisms is called biology. There were humans long before there was history. Animals much like modern humans first appeared about 2.5 million years ago. But for countless generations they did not stand out from the myriad other organisms with which they shared their habitats. Species that evolved from a common ancestor are bunched together under the heading 'genus' (plural genera). Lions, tigers, leopards and jaguars are different species within the genus Panthera. Biologists label organisms with a two-part Latin name, genus followed by species. Lions, for example, are called Panthera leo, the species leo of the genus Panthera. Presumably, everyone reading this book is a Homo sapiens – the species sapiens (wise) of the genus Homo (man). Homo sapiens, too, belongs to a family. This banal fact used to be one of history's most closely guarded secrets. Homo sapiens long preferred to view itself as set apart from animals, an orphan bereft of family, lacking siblings or cousins, and most importantly, without parents. But that's just not the case. Like it or not, we are members of a large and particularly noisy family called the great apes. Our closest living relatives include chimpanzees, gorillas and orang-utans. The chimpanzees are the closest. Just 6 million years ago, a single female ape had two daughters. One became the ancestor of all chimpanzees, the other is our own grandmother.